Taito, the creators of the original Space Invaders have been testing a new arcade game that involves yanking a tablecloth off a virtual table without knocking over all the stuff on the table. Weird, huh? 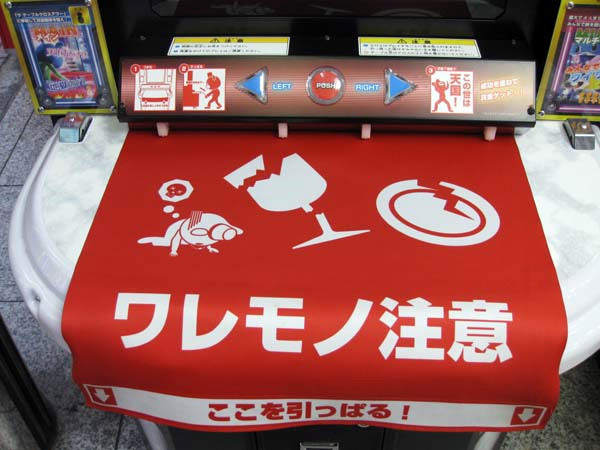 Would you expect anything less in a Japanese arcade? 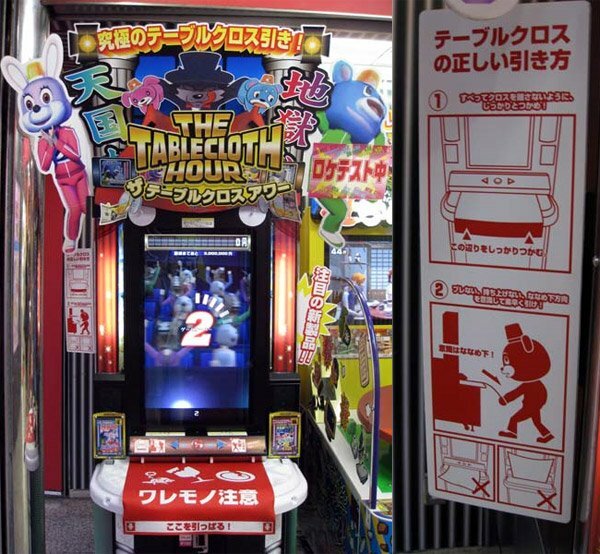 The Tablecloth Hour features a red “tablecloth” controller which players (or red bears wearing red fezzes) yank from the front of the machine as you watch various tabletop items wobble on the screen above. I like how the controller has a button on it labeled “POSH” – I’m assuming that’s Engrish for “PUSH”, but maybe it’s just a very swanky game.